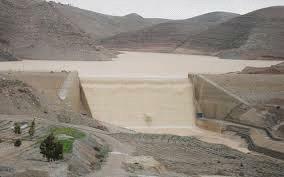 AMMONNEWS - Over 7.5 million cubic metres (mcm) of water flowed into the Kingdom's dams after the recent rainfall, according to Minister of Water and Irrigation Raed Abul Saud. By Sunday morning, the country’s main dams were 54 per cent full, holding 181mcm of water, compared to 40 percent or 137mcm last year. The minister said that the main dams have a capacity of 336mcm of water, indicating that the ministry is working to increase their capacity, especially after the completion of Rahma/Wadi Araba Dam.